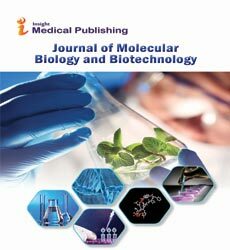 Journal of Molecular Biology and Biotechnology is a peer reviewed journal that focusses on comprehensive and extensive coverage of research developments in the field of molecular biology and biotechnology. The journal prioritizes publication of current research pertaining to Plant and Animal Molecular Biology, Recombinant DNA Technology, Microbial Biotechnology, Disease Molecular Biology, Gene Cloning, System Biology, Biotechnology and Bioinformatics. The Journal of Molecular Biology and Biotechnology promulgates medical, industrial, agricultural and environmental applications of biotechnology. The aims and scope of the journal includes current findings in the area of genomics, proteomics, DNA and RNA isolation, micro RNA, Clustered Regularly Interspaced Short Palindromic Repeats (CRISPR), molecular markers, construction of gene library and cDNA library, gene cloning, role of DNA methylation in gene expression, RFLP, RAPD, gene sequencing, VNTRs, restriction enzymes, protein modeling, phylogenetic analyses, molecular immunology, molecular microbiology, molecular enzymology, metagenomics, metaproteomics, DNA replication, repair and recombination, structural and function genomics, pharmacogenomics, DNA forensics and computational analyses of genes and proteins. Processing of the articles will be done through the Editorial Manager System for hassle free operation by the authors and the publisher. It helps in maintaining the quality of the peer review process and provides easy access to the authors to track the process of manuscript evaluation and publication in an automated way. All the submitted manuscripts undergo peer review done by the external subject matter experts under the aegis of the Editor-in-Chief or assigned Editorial committee member of the Journal of Molecular Biology and Biotechnology. Approval of at least two independent reviewers and the editor is mandatory for any manuscript to be considered for publication. Molecular Therapy is the cellular modifications at the molecular level. The study includes areas of gene transfer, vector development and design, stem cell manipulation, development of gene-, peptide- and protein-, oligonucleotide-, and cell-based therapeutics to correct genetic and acquired diseases, vaccine development, pre-clinical target validation, safety/efficacy studies, and clinical trials. Molecular Targeted Therapies uses drugs to target specific molecules (for example, proteins) on the surface of or inside harmful cells. These molecules help send signals that tell cells to grow or divide. By targeting these molecules, the drugs stop the growth and spread of harmful cells while limiting harm to normal cells. Targeted therapies use different types of drugs, and each drug works differently. Researchers are studying different targeted therapies in animals (preclinical testing) and in humans (clinical trials). However, few targeted therapies have been approved for treatment. Targeted therapies may eventually prove to be more effective and less harmful than current treatments. Gene therapy is a technique of therapeutic delivery of nucleic acid polymers as a drug into the cell of patient’s to treat disease. The polymer are targeted to possibly correct gene mutation. Gene therapy is an experimental technique that uses genes to treat or prevent disease. In the future, this technique may allow doctors to treat a disorder by inserting a gene into a patient’s cells instead of using drugs or surgery. Although gene therapy is a promising treatment option for a number of diseases (including inherited disorders, some types of cancer, and certain viral infections), the technique remains risky and is still under study to make sure that it will be safe and effective. Gene therapy is currently only being tested for the treatment of diseases that have no other cures. Molecular Development Biology is the study of the process by which organisms grow and develop at a molecular and genetic level. The study is concerned with the genetic control of cell growth, differentiation, proliferation and morphogenesis. Cellular & Molecular Medicine: Open access, Neurobiotechnology, Translational Biomedicine, Journal of Cellular & Molecular Pathology, Journal of Biological Macromolecules. Computational Biology is the interdisciplinary field that exploits biological information to develop algorithms and relations among various biological systems. It applies computational methods to analyze large collections of biological data, such as genetic sequences, cell populations or protein samples, to make new predictions or discover new biology. Electronic Journal of Biology, Insights in Cell Science, Insights in Cell Science, Journal of Computational Biology, Computational Biology and Chemistry. DNA sequence is the technique used to determine the sequence of DNA. DNA sequencing is to find out the sequence of nucleotide. To know the gene mutations for causing disease, DNA sequence knowledge is important. Two key developments allowed researchers to believe that sequencing the entire genome could be possible. The first was a technique called polymerase chain reaction (PCR) that enabled many copies of DNA sequence to be quickly and accurately produced. The second, an automated method of DNA sequencing. Biochemistry & Molecular Biology Journal, Biochemistry & Analytical Biochemistry, DNA and Cell Biology, DNA Repair, Mobile DNA, Recent Patents on DNA and Gene Sequences, Artificial DNA: PNA and XNA, Advances in Protein Chemistry and Structural Biology, Amino Acids, Peptides and Proteins. Translation is the process followed by transcription in the synthesis of amino acids. In the process of protein synthesis mRNA molecule sequence is translated to amino acids sequence. Thus ribosome forms protein through the translated mRNA. The information in DNA is transferred to a messenger RNA (mRNA) molecule by way of a process called transcription. During transcription, the DNA of a gene serves as a template for complementary base-pairing, and an enzyme called RNA polymerase II catalyzes the formation of a pre-mRNA molecule, which is then processed to form mature mRNA. Biotechnology is a wide-ranging discipline in which biological phenomena, organisms, cells or cellular components are exposed to the scientific engineering to develop new technologies. New technologies in the form of tools and products developed by biotechnologists are useful in research, agriculture, industry and the clinic purposes. The basic principle of biotechnology is to employ engineered biotic things for the welfare of mankind. Neurobiotechnology, Insights in Biomedicine, Electronic Journal of Biology, Journal of Imaging and Interventional Radiology, Insights in Medical Physics, Microbial Biotechnology. Molecular enzymology is the branch of biochemistry that encircles the functional and structural characteristics of the enzymes at molecular level. Enzymes are globular proteins which play a very important role as a catalyst for a biochemical reaction. Structural Chemistry & Crystallography Communication, Chemical Informatics, Molecular Enzymology and Drug Targets, International Journal of Biological Macromolecules, Molecules and Cells. Structural genomics refers to the characterization and providing location to the entire set of genes in a genome. Functional genomics involves the utilization of data produced by genomic and transcriptomic work which describe gene function and property. The knowledge of the structure of an individual genome is useful in mutating genes and DNA segments in that particular species, also, this study facilitate the investigation of processes like transcription and translation. Translational Biomedicine, Insights in Cell Science, Cellular & Molecular Medicine: Open access, Archives of Clinical Microbiology, Pharmacogenomics and Personalized Medicine, Translational Oncogenomics.